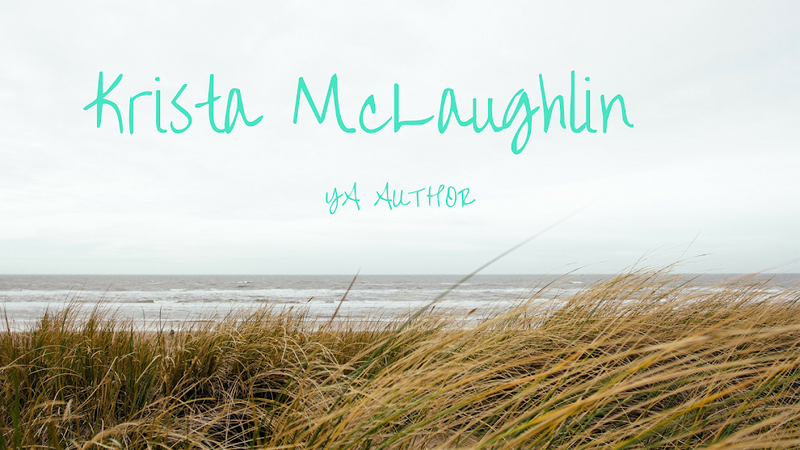 Krista McLaughlin - YA Author: Kreativ Blogger Award! A very special and appreciated thanks to L.G. 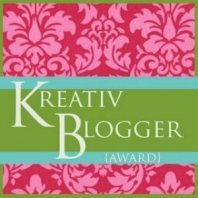 Keltner for awarding me the Kreativ Blogger Award! I am honored that you'd give this to me! You should all check out her blog! The Rules: I have to answer ten questions and share ten random facts about myself. 2. What is your favorite dessert? Pumpkin pie!! I look forward to Christmas and Thanksgiving because that is the only time of year that we have pumpkin pie. My dad makes it special with ice cream and calls it “pumpkin ice cream dessert”. It is heavenly. 3. What ticks you off? People that are inconsiderate or impatient, slow drivers that don’t know how to drive, people that expect you to be perfect Stepford children, people that are judgmental when they don’t know me…. I’ll stop myself. 4. When you're upset, what do you do? Ooo… confession time; when I’m really sad I like to give myself a reason for crying so I watch “A Little Princess”, the scene where Sara’s father doesn’t recognize her and she’s screaming “Papa, please!”. It always makes me cry. Or I just listen to sad songs. 5. What is your favorite pet? Cat. I do have a sincere love for beagles, but I am definitely a cat person. They are so funny! 7. What is your biggest fear? That’s a difficult one. I’m not sure if it would be never getting married, being put in a room of spiders, or never being able to write. 9. What is perfection? Something that the Borg from Star Trek want. I’m fine without it. 10. What is your guilty pleasure? That would have to be “The Secret Life of the American Teenager” on ABC Family. The plot is so stupid, but I keep watching. 3. I used to cheat in P.E. I would run the mile by myself because I didn’t like running with the class and I’d only ever run 3 laps of the track instead of four. Bad Krista. 5. Once, I dated identical twins. Yes, identical. Just not at the same time. One for a week and the other for eight months. Weird, yes. 6. I ran away from home when I was two-years-old because my mother wouldn’t take me to the store with her. I made it to edge of the trailer court we were living in. My mom found me sitting under a tree in a diaper, playing with a kitten. 7. I broke my wrist roller-skating on black ice when I was five. My sister told my mom that I’d get in trouble if we told her. So… we told her that we were doing side-walk chalk and I hid my broken arm for two days. She didn’t find out until 15 years later that we were roller-skating. Best kept secret. 8. I still write letters by hand to two of my friends while they are at college during the school year. I love hand-written letters. 9. Sometimes I create families in the Sims 3 and make them cheat on each other. They can’t always be happy? Bad, bad Krista. 10. Things I wanted to be as a kid – astronaut, Captain of a spaceship, teacher, and writer. I’m just a writer. :) I get motion sick in the car; I could never be an astronaut. Though if we ever develop warp drive, I’m definitely going into space. Hope you liked my random things! Now I am going to give the award to 7 fellow bloggers! Don't forget to tun back in on SUNDAY for my book cover reveal of "Nameless"!! Aww, thank you! :) My first blog award, how exciting! I love that you named your stuffed Beagle Porthos. Such an under appreciated character in the world of Star Trek. "10. Things I wanted to be as a kid – astronaut, Captain of a spaceship, teacher, and writer. I’m just a writer. :) I get motion sick in the car; I could never be an astronaut. Though if we ever develop warp drive, I’m definitely going into space." It is such a sad scene! I'm glad I'm not the only one that it makes cry! Congratulations! I like pumpkin pie, too, and I love that you dated identical twins. Not many people can say that, I'm sure. That is true. Not many can say that. It is such a heart-breaking scene! Lord of the Rings = Awesome. :) It does keep things interesting! I enjoyed learning more about you, Krista! I love A Little Princess!!! Both the book and the movie are fantastic. I once dated an identical twin at the same time my best friend was dating his brother. Haha, those were fun times! My husband is a fraternal twin, for which I'm very gratefull! I hope you're having a terrific weekend! Thank you Laura! :) That's cool that you and your friend dated identical twins. It was very fun! Thank you! :) Porthos is a perfect name for a beagle. :) I hope to have one someday and name him Porthos. great stuff to learn about you--very entertaining! Silly, Krista. I love Beagles. And I wish I'd have cheated in P.E. classes. I always felt awkward in those classes. Plus, the ball always hit me in the head. Still does. Me and sports DO NOT get along. At All! Lol, thank you Julia! I was always awkward in PE too. And I got hit in the fall all the time too! great fun getting to know a bit more about you. A roomful of spders - I'm with you on that one!